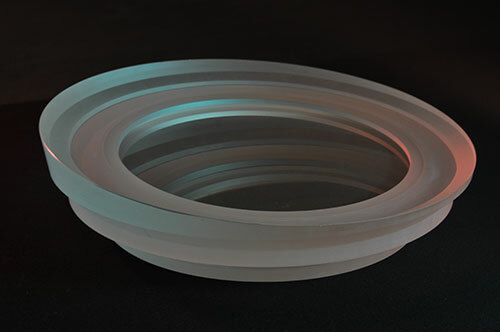 Spherical mirrors of various radii and diameters have been supplied to our customers by Optical Surfaces for many years. Our spherical mirrors have been used in huge variety of applications including wind tunnels and other Schlieren systems, observatory spectrographs and, as Hindle spheres to test hyperboloids. Our facilities allow us to manufacture and test very long radii spheres by taking full advantage of the long tunnels we have at our disposal. A 1.3-metre spectrograph mirror was supplied to the Royal Greenwich Observatory and was installed on the 2.5-meter Isaac Newton Telescope located at La Palma on the Canary Islands. The spectrograph contributed to the first observable evidence of the existence of black holes.